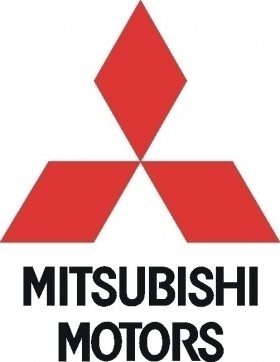 TOKYO -- Mitsubishi Motor Corp.'s money-losing North American operations are undercutting the company's fragile financial recovery, and the red ink is expected to increase. North American sales grew 15 percent to 23,000 units in the quarter that ended Dec. 31. But the regional operating loss expanded to 8.6 billion yen (or about $105.5 million) in the period, from 6.9 billion yen ($84.6 million) a year earlier. For the full fiscal year ending March 31, 2011, the North American loss is expected to widen to 30.0 billion yen ($367.9 million) from 28.2 billion yen ($345.8 million) the year before. The results, released in Mitsubishi's quarterly earnings today, underscore the urgency of overhauling Mitsubishi's troubled operations in the United States, where sales are staging a fitful comeback after collapsing to half their 2007 level above 100,000 units. Last year, Mitsubishi's U.S. sales edged upward just 3 percent to 55,683 vehicles, in a market up 11 percent. But in January, business surged 37 percent to 5,714 vehicles. North America's losses are disproportionately big compared to Mitsubishi's overall sales. The region sold only 66,000 units in the first nine months of the fiscal year, accounting for just 8 percent of its global sales of 807,000 vehicles. It was the only region not seeing a sales increase for Mitsubishi. At the same time, North America is forecast to have the biggest regional loss for the year. For the third quarter, the North American losses helped pull down Mitsubishi's global operating profit by half to 6.08 billion yen ($74.6 million). But Mitsubishi expects overall operating profit to triple to 45.0 billion yen ($551.9 million) in the full fiscal year ending March 31, from 13.9 billion yen ($170.5 million) a year earlier. Booming business in emerging markets and Europe, which together account for more than three-quarters of Mitsubishi's global sales, will help it deliver the improved results.